An opportunity to leave the metropolis and immerse yourself in the natural and artistic beauty of the small medieval villages outside Rome. Leaving Rome we drive by the ruins of the Baths of Caracalla and onto the Ancient Appian Way by the Chapel of “Domine Quo Vadis?”. 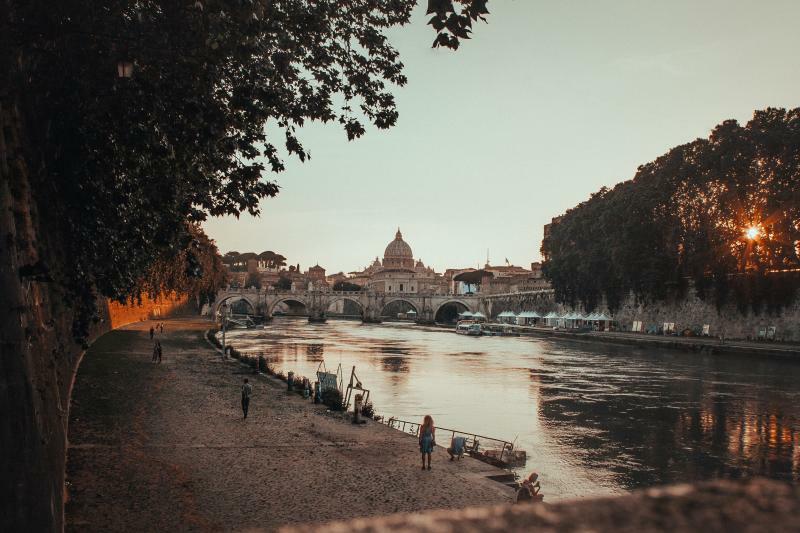 This tour takes us along the ‘Road of the Lakes’ through one of the hilly areas of volcanic origin that characterize the outskirts of Rome; the Colli Albani with its many growing villages. Castelgandolfo on the shores of a volcanic lake, where the Pope has his summer residence, Rocca di Papa and Grottaferrata, known for their culture, sights and gastronomic delicacies which include the traditional “porchetta”. Towards the northerly part of the Colli Albani, we reach Frascati popular with visitors both for its beauty and considerable wine production. Here we stop for a taste of local wine and products in a local tavern and to absorb the flavour of village life. Return to the vicinity of your hotel.